Colleen Kelley Adds Depth To D'Amato Law Litigation Team! D’Amato Law is pleased to welcome Colleen Kelley to our team! Colleen is an experienced and versatile attorney, and D’Amato Law’s third alumnus of the University of California, Hastings College of Law. One Door Closes, Another Door Opens. D’Amato Law Welcomes Apoorva Prakash! Following in the footsteps of University of California, Berkeley, alumni, Sydney Lee, Apoorva Prakash recently joined the D’Amato Law team as a legal assistant. We could not be more pleased to have such a smart, focused and personable team member as Apoorva. Already settling in, Apoorva is sure to be a dynamic addition to Team D’Amato Law! Apoorva is a second year pre-law undergraduate student at UC Berkeley, studying Computer Science and Economics. 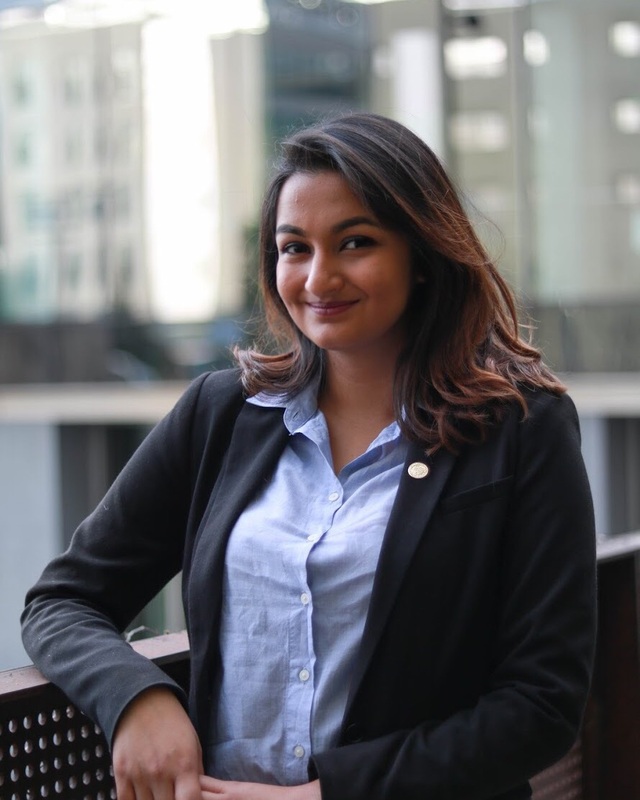 Aside from her coursework, Apoorva holds a leadership position in a co-ed pre-law fraternity on campus. She also volunteers as an academic lab assistant and dances as part of an urban dance organization. Apoorva’s interests within the legal field are diverse, and she is excited to gain more legal exposure through her work at D’Amato Law. Apoorva is also passionate about politics - as a long-term ambition, she hopes to one day draft and implement policy on a national scale! Congratulations to D’Amato Law Alumni, Sydney Lee! While completing her undergraduate degree in Legal Studies at University of California, Berkeley, Sydney was a legal assistant at and integral team member of D’Amato Law. Sydney graduated from Cal in December 2018 and secured a great job in the Court Procedures Department at Goodwin Procter LLP. D’Amato Law congratulates you on all of your accomplishments to date and we know that the future is bright for you! Thomas D'Amato is a Certified Specialist in Legal Malpractice Law! The State Bar of California certifies legal specialists who have gone beyond the standard licensing requirements. Tom was recently notified that he successfully completed the requirements for certification by the State Bar in Legal Malpractice Law on August 1st, 2018. Besides Tom, there is only one other certified specialist in Legal Malpractice Law in Contra Costa County and the team at D’Amato Law couldn’t be more proud of him for his achievement. Congratulations Tom! D'Amato Law Corporation is proud to announce that we will be a sponsor of the 2018 DRI - The Voice of the Defense Bar Annual Meeting coming to San Francisco this October. The State Bar of California states that this is done to ensure the State Bar is in compliance with Business and Professions Code Section 6054, which requires the State Bar to receive notifications of attorney arrests and convictions from the California Department of Justice (DOJ). Even if attorneys were fingerprinted at the time of admission to the State Bar, neither the State Bar nor the DOJ has retained those fingerprints for future notification services. On Wednesday, June 28th, 2018, D’Amato Law attorneys, Thomas J. D’Amato and Christopher Whang, presented on the topic of competency and attorney well-being at Hoge Fenton Jones & Appel. At the December 2017 meeting of the Board of Directors, Tom (T.J.) D'Amato was among three new board members elected for 2018. Joining the Board in 2018 with Tom are Juliet Don of Chevron and Ally Fattore of Mechanics Bank. Together with continuing Directors, Brian Chinn, Paul Koenig, Holly Henkel, Leslie Ward, Peter Eberle, Susan Hurl, Richard Westin, David Cronin and Tonya Gilmore, and under the leadership of President Roy Hodgkinson and Executive Director Sophie Braccini, Tom looks forward to serving the vibrant business needs in the communities of Orinda, Moraga and Lafayette, California. For more information about the Orinda Chamber of Commerce see https://orindachamber.org/ or contact Tom. Are you curious about Airbnb? Are your clients? I’ve used Airbnb for work travel a few times. An apartment in Los Angeles. A condo in Chicago. The experience was certainly different compared to staying at the preferred hotel chains we’re accustomed to on business trips. Overall, the short-term rental experience was fine. Room for improvement, sure. A value for what it was? I think so. It’s made me think, could I rent out my own house when we’re not there? Do I want to? Is it worth it? Considering the popularity of Airbnb, many people must be concluding it is worth it. For me at least, the jury is still out. The Orinda City Council recently passed an ordinance which creates a short-term rental registration system and limits the number of registrations. Perhaps there is not going to be a shortage of registrations, but as a lawyer and entrepreneur I want to preserve my right to lawfully operate a short-term rental. So I just filled out the City of Orinda’s Short-term Rental Registration and Transient Occupancy Tax Registration Certificate Form. The forms raise issues regarding use restrictions, property management, taxes, compliance with municipal and building codes. What about insurance? I have some questions, and I’ve been looking at some of the issues for the better part of the year. Do you have questions? Please join Courtney Kasper of QBE North America and T.J. D'Amato of D'Amato Law for a discussion on short-term rentals at DRI’s Professional Liability Seminar in New York on December 7-8, 2017. For more information see here. Courtney and T.J. will address some of the issues confronting attorneys, accountants, and real estate and insurance professionals by the growing activity created by digital economy websites like Airbnb. D’Amato Law is pleased to welcome the newest addition to our team, Sydney! As a third year undergraduate at UC Berkeley with a major in Legal Studies and a minor in Education, Sydney has joined our firm as a Legal Assistant. Her primary interest in the legal field lies within immigration law, which has developed from her research experience as an apprentice of a sociology professor on the intersectionality of race and citizenship of immigrants. Aside from her position at D’Amato Law, Sydney also works as the Advising Peer Leadership Consultant at UC Berkeley’s student organization services center, LEAD Center, providing both administrative support and leadership development advising to over 1,200 student organizations within campus. Outside of the professional setting, Sydney enjoys writing for her school's online editorial and is involved in a professional co-ed pre-law fraternity as a board member. By joining our team, Sydney is thrilled about expanding her legal knowledge of business and general litigation through hands-on experiences within the office. 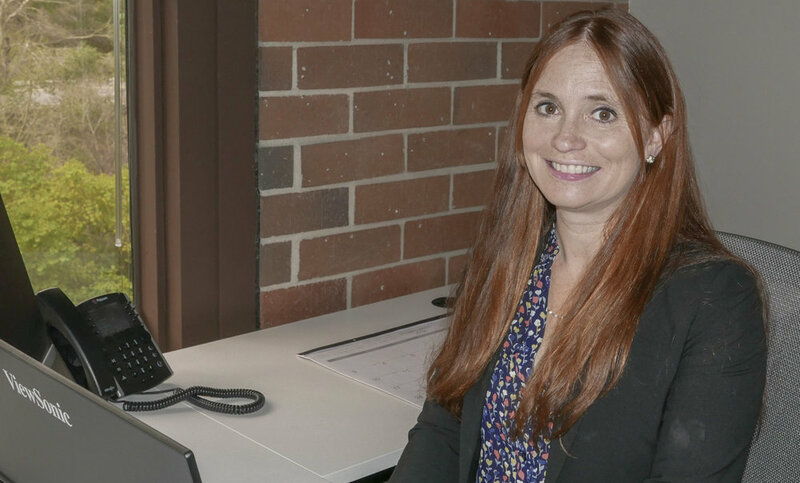 She feels passionate about accommodating our clients’ needs in an efficient, timely manner while making sure that the team stays organized in all of its administrative tasks. With her professional demeanor and strong independent work ethics, Sydney is always willing to go beyond to connect with those who seek her assistance. Thank you to all our friends, colleagues and clients that came to our Ribbon Cutting and Open House. We appreciate all the support! Orinda Chamber of Commerce Ribbon Cutting - August 24, 2017 at 5:30 p.m. It's hard to believe it's already been four months since we opened our doors. Join us on Aug. 24 for our Orinda Chamber of Commerce ribbon cutting. The ceremony will take place around 5:30 p.m. at our offices located at 25 Orinda Way, Suite 308. Light refreshment will be served. Holder of Work Product Privilege – Lawyer or Law Firm? On June 21, 2017, in Tucker Ellis LLP v. Superior Court (Nelson), the First District Court of Appeal held that a law firm, and not an individual lawyer, controls attorney work product. Attorney Nelson created documents which were subject to protection under Code of Civil Procedure § 2018.030 while employed at Tucker Ellis, LLP. After Nelson left Tucker Ellis, the firm responded to a third party subpoena, ultimately producing the documents created by Nelson without first seeking Nelson’s permission. Nelson sued Tucker Ellis, arguing that the documents were his thoughts, impressions, and conclusions, and thus that he alone, not the law firm was the holder of the privilege. The Court of Appeal disagreed and held that the law firm was not required to seek the attorney’s permission. In support of its holding, the Court reasoned that the client on behalf of whom the work was performed was a firm client, not Nelson’s directly. Moreover, while conceding that in this instance only Nelson’s thoughts and impressions were recorded, the Court noted that often that would not be the case, and that many lawyers would collaborate on a project. It would be unfeasible to seek permission from all former lawyers who may have rights to waive work product. The Court also noted that its holding was particularly applicable where the client was a firm client, and thus the firm would be in the best position to determine any potential harm to the client from production. The Court of Appeal stressed that its opinion was narrow, and limited to the facts before it. It did, however, reject a narrower basis for the holding, that Nelson’s employment agreement, as a non-capital partner at Tucker Ellis, meant that the documents were owned by Tucker Ellis pursuant to Labor Code 2860. Although the opinion stressed the narrow nature of the holding and forms of law firm organization vary, it is difficult to conceive of a situation in which, following the opinion, work product would be deemed owned by the lawyer, and not the law firm, even if the lawyer were a full equity partner. Perhaps a distinguishing factor in a future case could be where the client went with the former attorney and the prior law firm merely was a custodian of files from the period in which the departed lawyer was at the prior firm. Still, the reasoning of the Court of Appeal in this case, one which is both practical and considers the interest of the client, would seem to apply. D’Amato Law is a proud new member of the Orinda Chamber of Commerce. See our spotlight here and read more about the happenings of fellow Orinda business owners, in the June 15, 2017 Newsletter. On Thursday May 11, Adam will be a panelist at the DRI Appellate Advocacy Seminar for a topic entitled Ethics and Appellate Litigation. The CLE focuses on ethical rules and responsibilities which are unique to appellate practice, including positional conflicts of interests which arise when creating binding precedent and the duty of candor to the court, both in citing to legal precedent and making representations about the record on appeal. We are very proud to announce that as of April 24 our doors are officially open in beautiful Orinda, California. We’ve hit the ground running, and we’re already putting our unique blend of experience, expertise, and agility to work for our clients. Take a look around our site or, even better, give us a call to learn how D’Amato Law can deliver a superior level of service and results for your legal disputes.